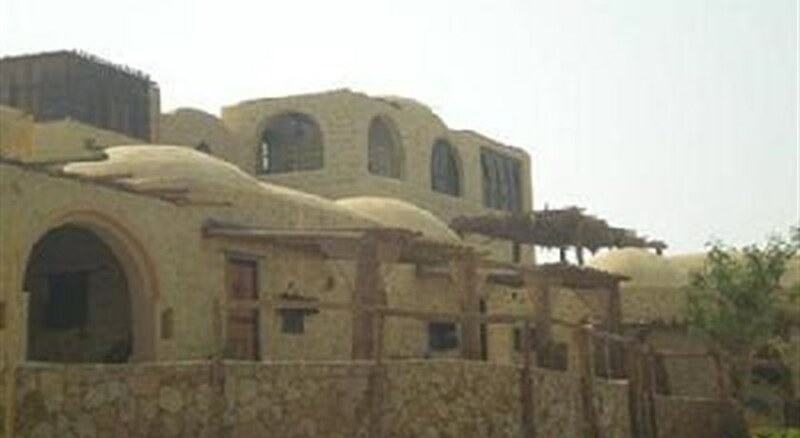 Welcome to the Qasr El Bawity in Siwa. To make your stay more comfortable a reception is available. The staff in this 2 storey hotel speaks German, English, Arabic and French. The hotel is within easy reach of medical services and markets. Accessible from the hotel: Alexander Temple (60 km), WHITE DESERT (250 km), train station (300 km), shops (5 km), airport (2000 km), SFARI (800 km) and horse riding (3 km). This is an adults only hotel. Amenities: Reception hours: 24h Service. Meals: The breakfast type is a la Carte. Lunch and dinner can be enjoyed in the restaurant. Additional Information: Payment facilities include American Express, Visa Card, JCB, Euro/Master Card and Diners Club.